Pouring is a little bit different every time you do it. It’s an interesting art form, in that you can pour two paintings from the same dirty cup, and both of them are completely unique from one another. Even if you use the method of pressing two canvases together with the same colors, the likelihood of you getting the same result on both canvases is slim to none. Even so, manipulating the paint with motion can get a little monotonous. 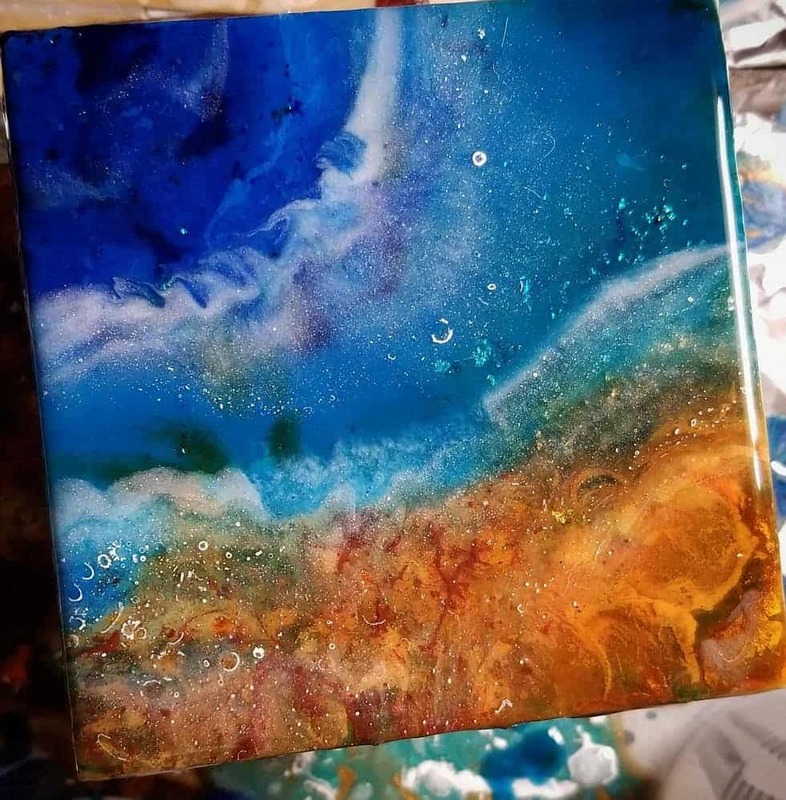 I know that I’m constantly looking for ways to enhance my pours with new techniques, and using air to manipulate the paint after I’ve poured is a fun way to create new swirls and patterns. One way to manipulate your paint with air is to simply blow on it. I like to use a straw for a more focused stream of air, but I have to warn you; using a straw will likely result in a little bit of saliva ending up on your painting. Realistically, you should be prepared for that possibility even if you’re not using a straw, although no one likes to think about spit in their painting! You can also use canned or propelled air to manipulate your paint. Most cans have a super focused nozzle, so you can create some really intriguing patterns and flows this way. Keep in mind that most canned air is very powerful, as it’s usually meant to clear dust and debris from keyboards and other tight spaces. A focused blast of air is likely to splatter your paint all over the place, so if you decide to use canned air, make sure to hold the nozzle at least six inches away from your paint. Air compressors are very handy for air manipulation because you can regulate the pressure that is released; meaning, you don’t have to worry about blowing your painting straight off your workspace! Air compressors won’t run out like a can of air, and won’t give you dizzy spells like blowing on a painting for extended periods of time…a win/win! Air compressors come in a variety of shapes and sizes as well. Just keep in mind that most air compressors are quite loud when they’re on, so it might be best to wear ear protection if you’ll be sitting near one to work. I love using a blow dryer to manipulate paint! When I first realized that air manipulation was a thing, I ran right into my bathroom and grabbed my trusty hair dryer. This readily available tool is great because it is cost efficient, isn’t super noisy, and there are a variety of different nozzle attachments and speeds to help you work your piece. The only downfall of a blowdryer is that sometimes, dust can travel through the dryer into your painting. Make sure that your dryer’s filter is clean and free of hair and debris before you use it on a painting! There aren’t many special considerations when using air to manipulate your paint, except for the obvious—the mess. Keep in mind, especially when you’re first learning, that air manipulation can cause a lot of splattering. Less is sometimes more. If your paint is thin, like if you’re using Golden High Flow Acrylics, you won’t need a very powerful air pressure. As a matter of fact, a high air pressure will likely blow the paint right off your surface! Start out at the lowest pressure with your nozzle at least six inches away from the surface. You can always increase the pressure or move closer to the surface for more dramatic results. Move around. Remember not to concentrate in one spot too long; this is true for regular air as well as heated air from a blow dryer. Staying in one place too long may cause divots where the paint is very thin and spread out at the center of the air blast. It may also cause thicker areas where the paint has piled up—and thicker areas are likely to crack. Throughout your manipulation, be sure to keep a level surface. Get creative with your movements. Try doing a figure eight, circles, swirls—use the air as a sort of touchless paintbrush to create intricate designs you won’t be able to create by motion manipulation alone. Using air to manipulate paint creates interesting, wispy designs and blends that can be beautiful and deep. As with any technique we’ve discussed, the best way to master this technique is to practice it! Even if you aren’t in love with the first piece you create using air manipulation, don’t stop; you’ll get it down in no time. 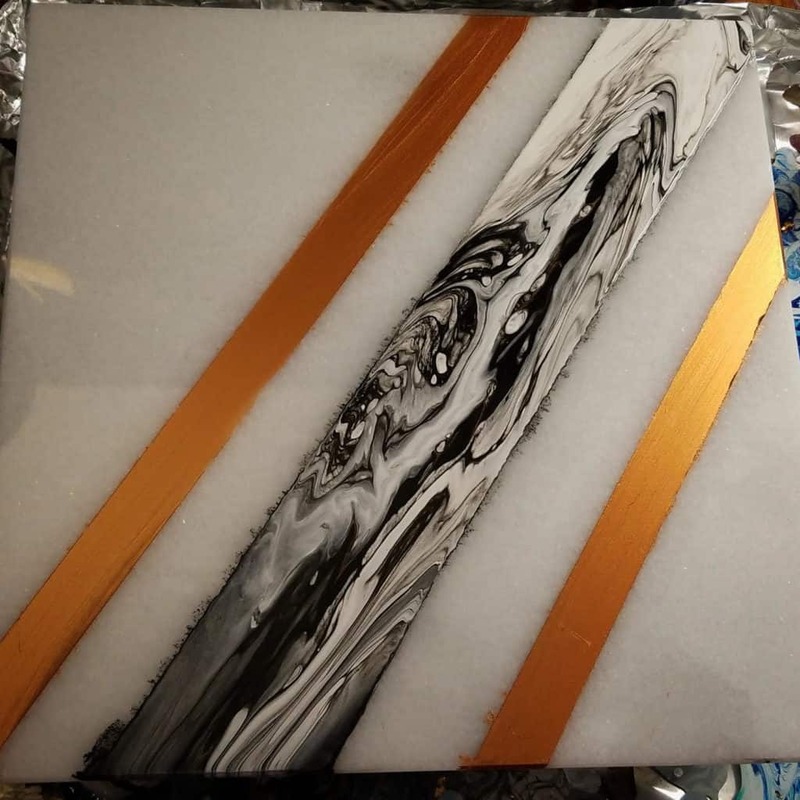 Make sure to show us your air manipulated pours in the Acrylic Pouring group! 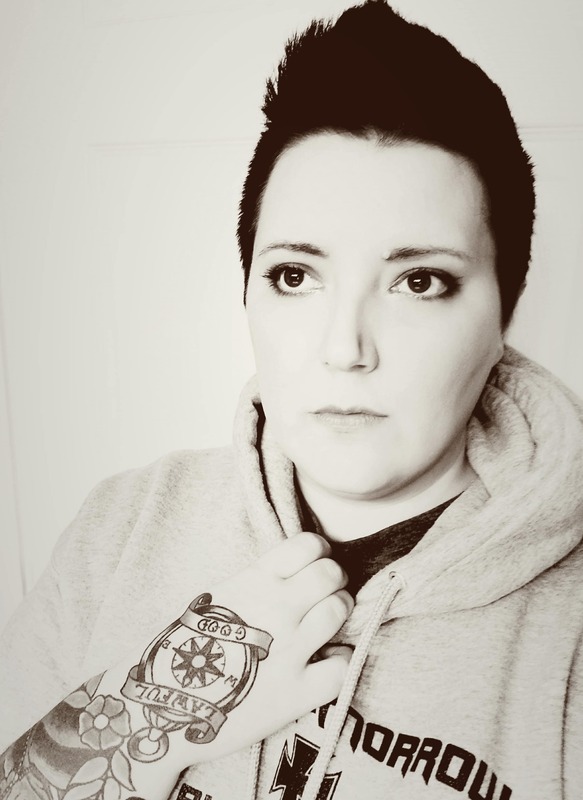 Sara Wagner is an author and artist from Upstate New York. She is the owner of Studio Blackwater and can typically be found covered in paint, cats, or her two young daughters. You can find her on Facebook and Instagram as @studioblackwater.